The Classic™ is Fulton's original vertical tubeless boiler, available for steam or hot water applications. Simple, compact, and trouble-free, more than 100,000 Classic boilers have been sold around the world to virtually every type of industry imaginable. The Classic features efficiencies to 80% and oil and/or gas capabilities with Low Emissions burner (gas only), all packaged and trimmed for your heavy-duty application. Within the Fulton VMP (Vertical Multi-Port) Boiler, a series of heavy walled large diameter schedule 80 flue pipes are welded to the top and bottom heads in the pressure vessel, and these pipes are surrounded by water. The water-backed design speeds up boiler start up time and creates overall even heating throughout. This, along with many other design features of the VMP, result in fuel to steam efficiencies of up to 84%. As demand for creative solutions to complex heat transfer applications grows, Fulton has excelled in the design and fabrication of customized skid system solutions. 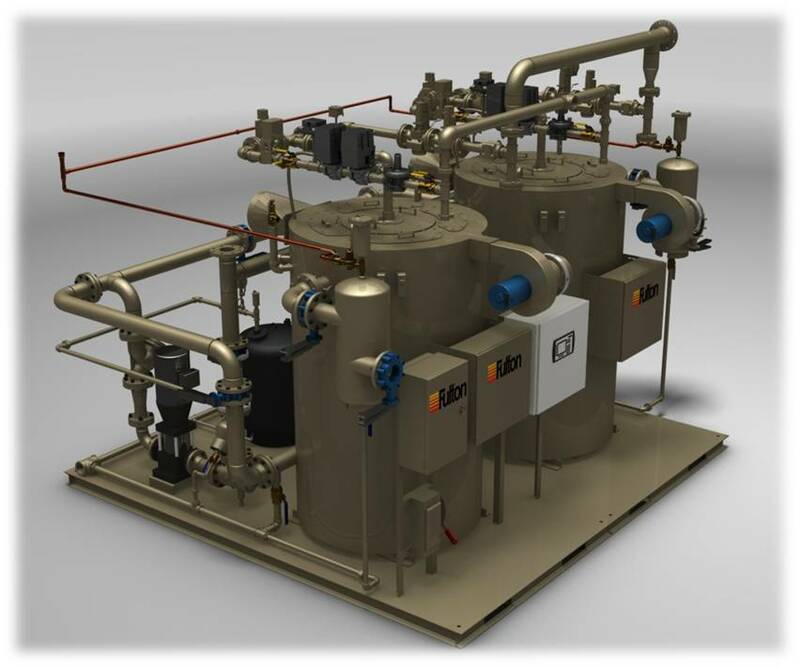 With over three decades of experience in designing and building skid systems, Fulton has become a single source manufacturer for custom pre-piped heat transfer equipment and accessories.